Movies are one of only nine things we care about here at Paste, so any vending machine that spits them out for the price of a couple of bucks is okay by us. We refer, of course, to Redbox, your friendly neighborhood physical and digital film rental and purchasing platform. The service is adding a slew of new movies in June, including numerous favorites both commercial and critical, and we’re here to help you separate the wheat from the chaff. As per usual, Redbox is adding a number of big blockbusters next month, none quite as big, literally, as Pacific Rim: Uprising, the 2018 follow-up to Guillermo del Toro’s 2013 robots-vs.-kaiju showdown. 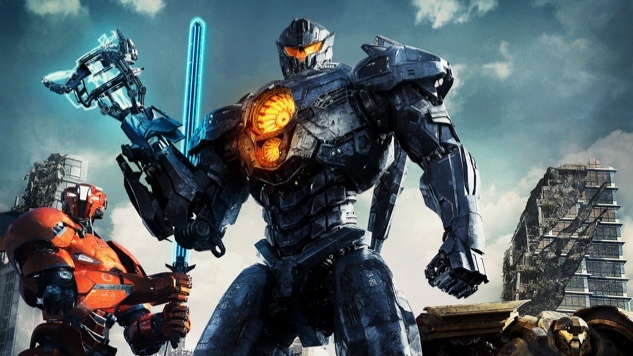 Though Uprising didn’t exactly set the film world alight—critical response to the sequel was tepid at best—it did find “novel new places to put awesome guns on the Jaegers,” as Paste’s Tim Grierson pointed out in his review, upping the ante on the first film’s “unabashed spectacle.” But Pacific Rim: Uprising—available to buy on demand the week of June 5, and to rent on demand and in kiosks the week of June 19—is hardly the only popcorn flick headed to your living room, Redbox users. Others include Ava DuVernay’s A Wrinkle In Time adaptation (available to rent in kiosks the week of June 5), this year’s Alicia Vikander-led take on Tomb Raider (available to rent on demand the week of June 12 and in kiosks the week of June 19) and Steven Spielberg’s Ready Player One (available to buy the week of June 12). Where more critically acclaimed fare is concerned, Redbox’s incoming slate is highlighted by The Death of Stalin, the latest political-satire masterwork from Veep creator Armando Iannucci. Set in 1953 Moscow, the film begins with the demise of its eponymous dictator, after which his conniving cronies—played by the likes of Steve Buscemi, Simon Russell Beale and Jeffrey Tambor—begin manipulating their way into his vacant position of power. Ianucci’s film spins comedy gold out of an era of paranoia and brutality, to the tune of a whopping 96 percent on Rotten Tomatoes—as Paste’s Andy Crump wrote in his review of the film, “It takes a deft hand and a rare talent to make tyranny and state sanctioned torture so funny.” The Death of Stalin is available to rent in kiosks or on demand, and to buy on demand the week of June 19, leading a cohort that also includes inclusive coming-of-age tale Love, Simon (available to rent on demand the week of June 12 and in kiosks the week of June 19), Steven Soderbergh’s iPhone-shot psychological thriller Unsane (available to rent in kiosks and on demand the week of June 19) and historical suspense drama Chappaquiddick (available to buy on demand the week of June 26). One other programming note: Redbox announced recently their plans to offer 4K content in six test markets, including Detroit, Miami, Seattle, Austin, Los Angeles and New York City. By the end of June, the service will have 10 4K movies on offer, including some of the ones we’ve discussed above. Find the full list of Redbox’s 4K offerings forthcoming in June below, and the service’s complete slate for the month further down.